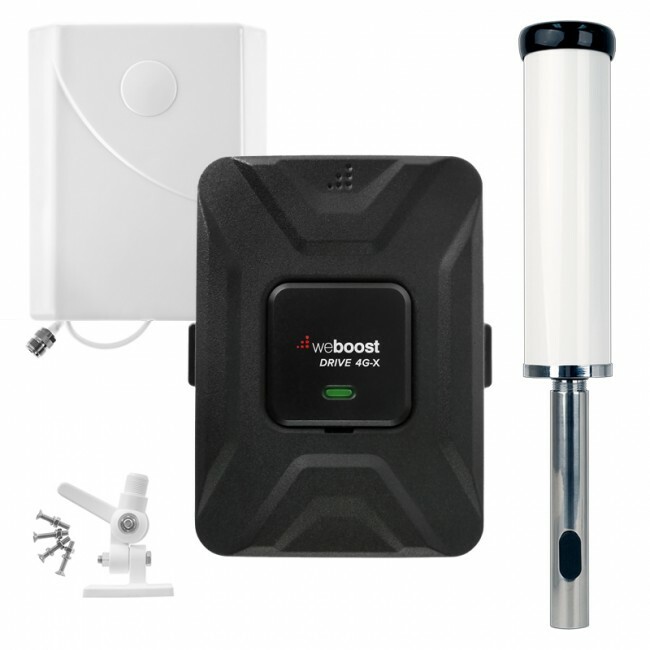 UPDATE 4/15: The Wilson 4460101 DT4G has been discontinued and replaced with the weBoost 470101 Home 4G Signal Booster Kit. With a new year comes new signal boosting products from Wilson Electronics. At CES this week, Wilson announced the Wilson DT4G, a new version of their popular SignalBoost DT. 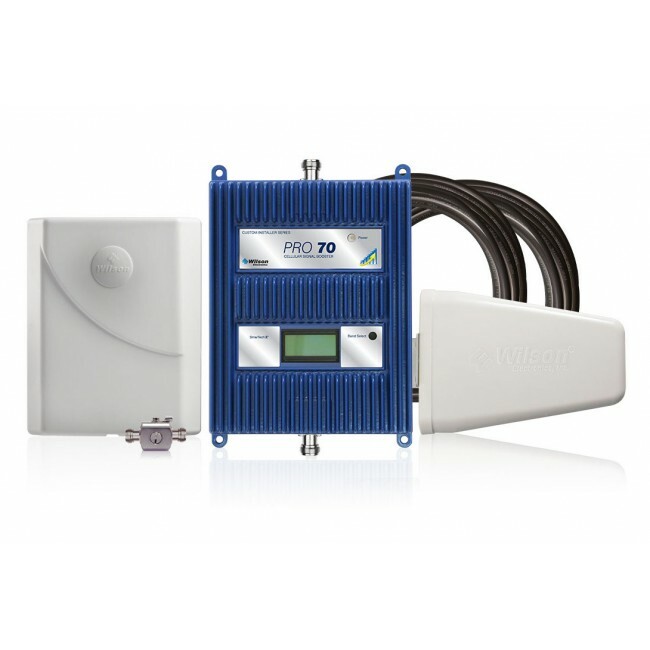 The Wilson DT4G is designed for smaller size homes, apartments, offices and dorms, and will boost the 2G, 3G and 4G LTE networks for all of the major carriers in North America. This is exciting news in that there hasn't been smaller scale booster available up until now that would boost the 4G LTE networks for all of the major networks, especially Sprint 4G LTE (which was only possible with the Sleek 4G cradle booster), so now we finally have one device that will just plain work with any network on any carrier. Let's dive into the specifics on the new Wilson DT4G! 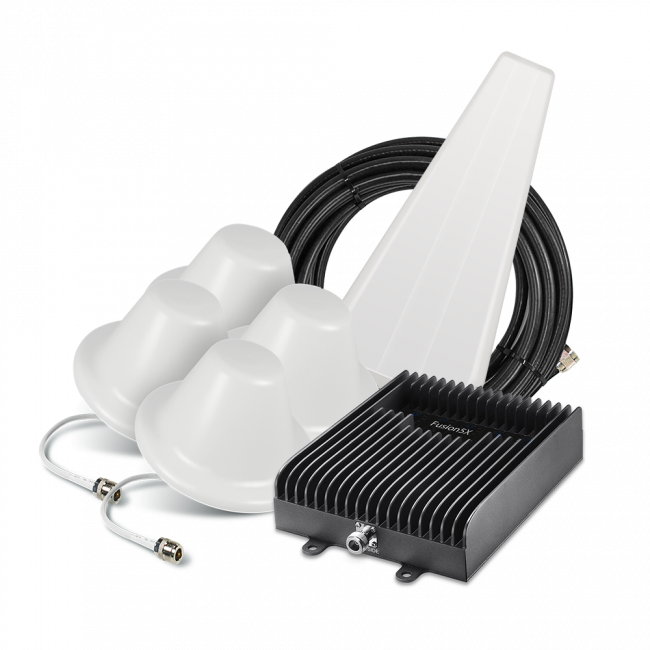 The Wilson DT4G has a similar setup to it's predecessor, with a suction cup window mount panel antenna, amplifier with four separate gain controls and indicator lights, tower directional inside antenna, and cable to connect all of the components together. The biggest change between the SignalBoost DT and the Wilson DT4G is the amplifier, which previously was only able to boost the standard dual band frequencies, but the new version now has the capability to boost the 2G, 3G and 4G LTE frequency ranges (700, 800, 1900, and 1700/2100 MHz) used by all of the carriers. The new Wilson DT4G has the capability to boost signal to an an area of up to 2,500 square feet if the panel antenna is mounted outside in a location which has strong signal. If the antenna is mounted on the inside of a window and/or the signal is medium to weak, then the coverage area will be significantly reduced to an area the size of a room or even a desk. Once you have the panel antenna mounted, you'll then need to run a cable from the panel antenna to the amplifier, which requires power and should be located near a standard wall outlet. 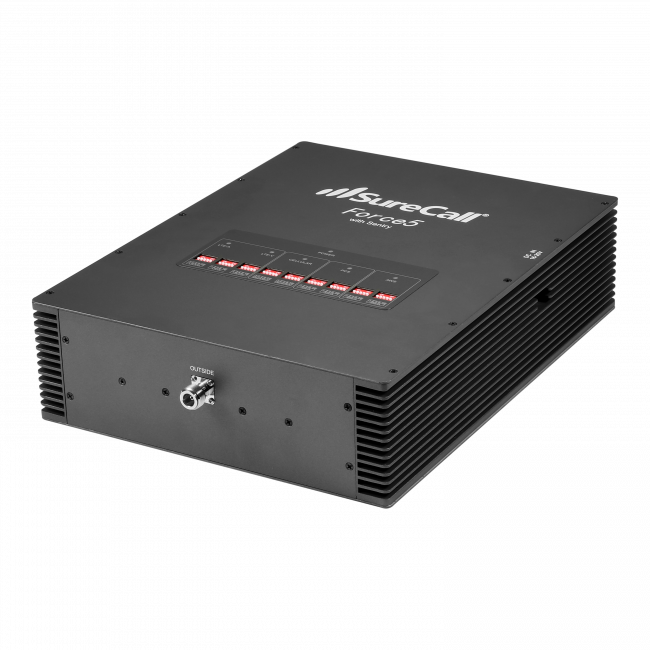 From the amplifier, you'll then run another cable to the tower inside antenna, which is designed to be placed on a desk or table and aimed in the direction where you want to broadcast boosted signal. Once the components are in place, then you'll just need to plug in the amplifier to begin to receive boosted signal. Things to note: You will need some separation (approximately between 15 and 20 ft) between the outside panel antenna and the inside tower antenna, and the tower antenna should not be aimed towards the panel antenna. Additionally, you'll need at least 18 inches between the amplifier and the inside tower antenna to prevent any interference. If any of the lights on the amplifier glow red at any point, try adjusting the antenna locations to have more separation, otherwise you'll have to turn down the gain control dials until the red light turns off. The new Wilson DT4G will be available for purchase during the first quarter of 2014. If you only need to boost voice calls and 3G data, then you'll want to purchase the SignalBoost DT instead, which is available now.